Privacy in one of the most prestigious subdivisions in Young Harris. 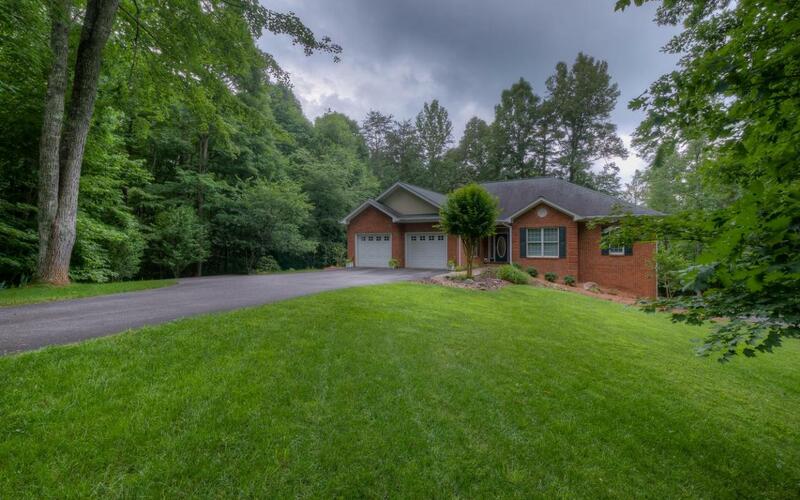 This beautiful 3 bedroom/3 bath home is on 2.129 acres in Asheland Cove. Asheland Cove is known for having some of the areas best homes and this house fits that description. The large rooms give the house a great open feel. All 3 bedrooms are on the main level with a large office or potential fourth bedroom in the basement. The large sunroom is perfect to sit on all year long and enjoy all of our different seasons. The privacy of this lot is unmatched in the subdivision with gorgeous landscaping. The backyard is stunning with a covered porch and huge pavilion. Each level has a fireplace. The main level fireplace has gas logs for ease and the basement is wood burning to enjoy the crackle of the fire. Young Harris College is a short drive with Hiawassee and Blairsville close as well.